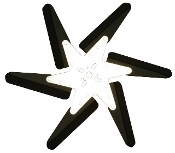 All aluminum fans are Standard (RH) Rotation. 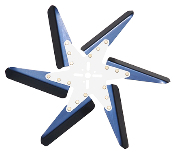 Narrow blade width and moderate pitch improves air flow with minimal horsepower loss. 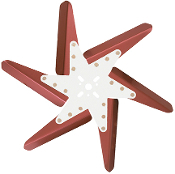 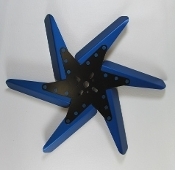 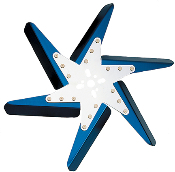 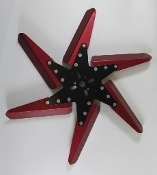 Available with blue or red anodized blades, and black powder painted or chrome plated finish centers. 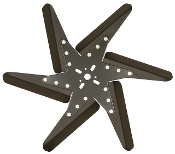 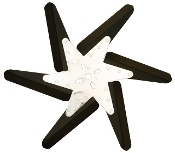 Specially formed blade tips minimize fan noise and two-piece steel center hub provides for positive blade attachment.